a new specu​lative project in South San Antonio brought the total Class A pipeline that will deliver through summer 2018 to 1.3 million square feet. ​​Check out more Industrial Market Research for the San Antonio-New Braunfels area. 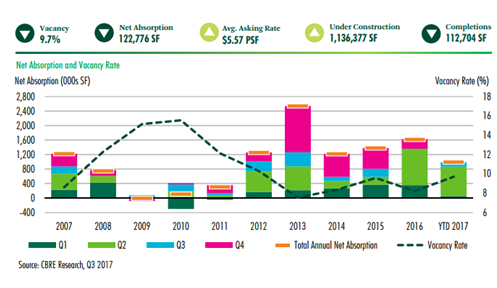 Click here to see the San Antonio Industrial MarketView 3Q 2017 report.